Professional barrier tape for quick and easy delineation of danger or work zones. Virtually untearable. Available in different colour combinations. The best quality available in the market. LENGTH 500 METERS! 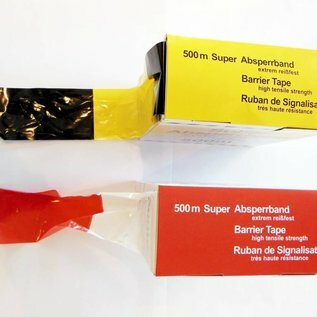 Professional SUPERSTRONG barrier tape of the best quality for fast marking of temporary hazards or workzones. This barrier tape is extremely strong, almost untearable and quickly deployed thanks to its convenient packaging. 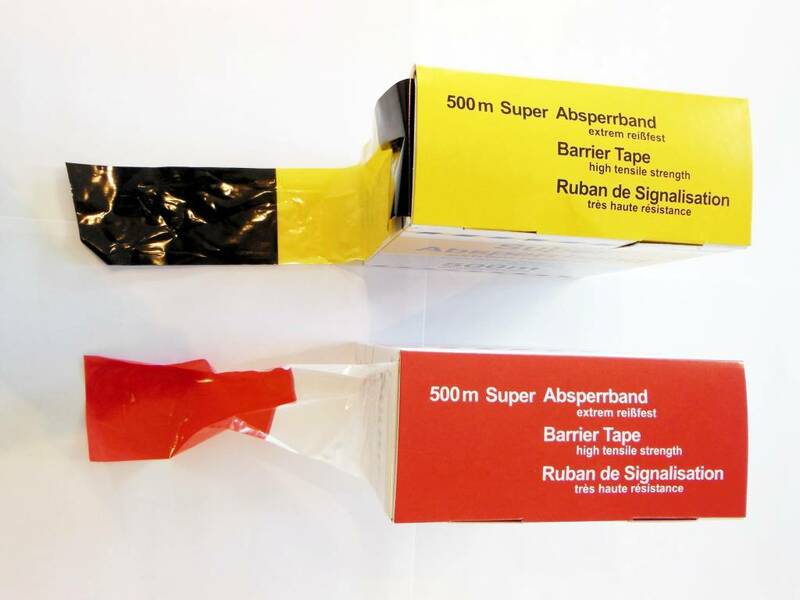 SUPERSTRONG barrier tape is the ideal tool to improve safety quickly and easily at a minimal cost. Please remember that barrier tape is no alternative to the statutory regulations regarding signalisation on public roads. However, it can be a useful addition: its good visibility accentuates a dangerous situation and thus increases the attention. SUPERSTRONG barrier tape is also extremely suited for use in industry or on private property. It allows you to quickly and easily highlight any risks or to cordon off certain areas that need protection.